Nintendo hosts Super Smash Bros. Invitational at E3 – AiPT! Nintendo announces first tournament for Switch Super Smash Bros. – come kick Jigglypuff’s face in at E3. 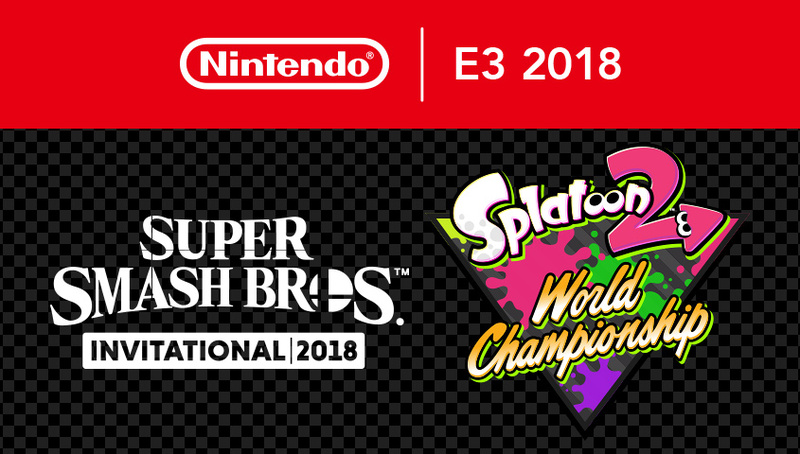 News out of Nintendo this morning details an upcoming Splatoon 2 World Champoinship and the first tournament to feature Super Smash Bros. on Nintendo Switch, this June at E3. On June 11-12 in Los Angeles, an invited group of players will gather to play Super Smash Bros., and qualified teams will compete in Splatoon 2, as Nintendo hosts an event featuring high-level gameplay on these two games for Nintendo Switch. This will be the first-ever exhibition tournament featuring the recently announced Super Smash Bros. game coming to Nintendo Switch in 2018. Additionally, this will be the first world championship for Splatoon 2 after the game’s launch. The gathering will be a celebration of fun for all ages, and will highlight Nintendo’s unique approach to competitive play. The event will be just one of Nintendo’s activities at the E3 video game trade show, which runs June 12-14 at the Los Angeles Convention Center. Additional details about Nintendo’s E3 plans will be announced at a later time. The event will showcase players from around the globe in the Super Smash Bros. Invitational 2018 tournament for the newly announced Super Smash Bros. game coming to Nintendo Switch this year and the Splatoon 2 World Championship. The competitions will be livestreamed. Nintendo always has a unique angle to it’s show presence at E3, like the Smash Tourney before the release of Wii U Smash, and it’s pre-recorded and often goofy videos – but with the Switch as the fastest selling system of all time, and a hungry audience looking for any details about this new (or ported) game, this is a way to ensure lots of eyes on the N booths in June.